A Seattle potluck slideshow is back—and bountiful. Nerdy Seattle loves its slide shows. Locally based and/or created series such as Pecha Kucha, Ignite and Slideluck Potshow—all of which feature presenters using a short, swift series of slides to tell stories about art, tech, food, etc.—have devoted followings, drawing people in with both the appeal of learning something new and the constraint of a seriously structured time slot. 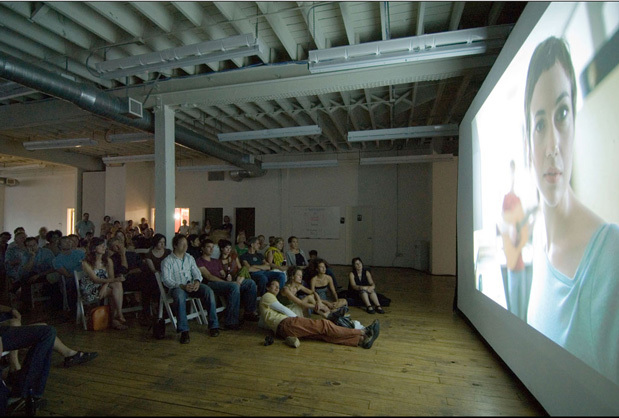 This month Slideluck Potshow—the quasi-annual potluck and slideshow combo—returns, after a brief hiatus. A curated evening of presentations by visual artists (both established and emerging), told via three-minute slideshows, Slideluck now has an expanded emphasis on storytelling through imagery. Founded in 2000 by Seattle photographer Casey Kelbaugh, who sought to build community through art and food, the nonprofit selected “Something Rarely Seen” for this year’s theme. Expect slides to depict photographs, sculpture and motion imagery, such as film and animation. While presenters were still being selected at press time, organizer David Wentworth says he hopes to counteract modern life’s constant inundation of images by showing audience members “something incredible they didn’t expect to see.” Celebrate afterward with a DJ and dancing.